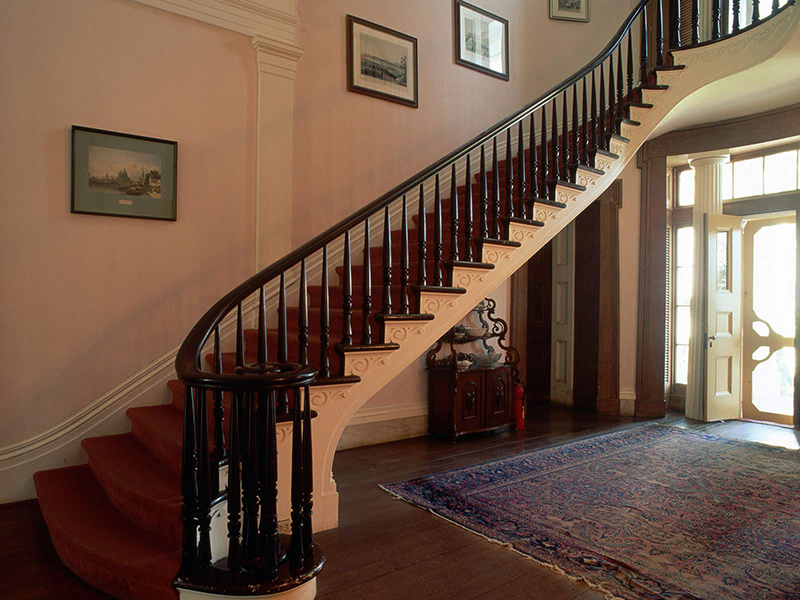 The railings that go up and down the stairs in a house can really make a house look on par with the times. 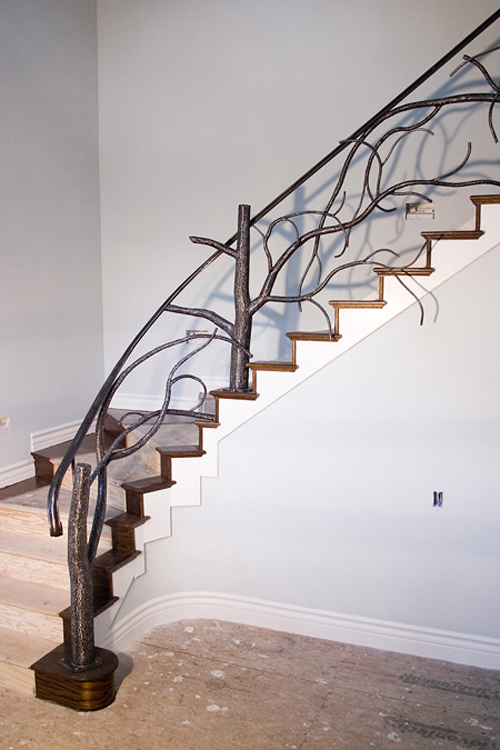 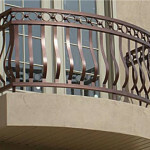 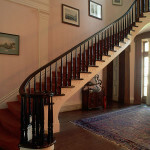 There are many types of railings like wood, steel, and custom made stairway railings. 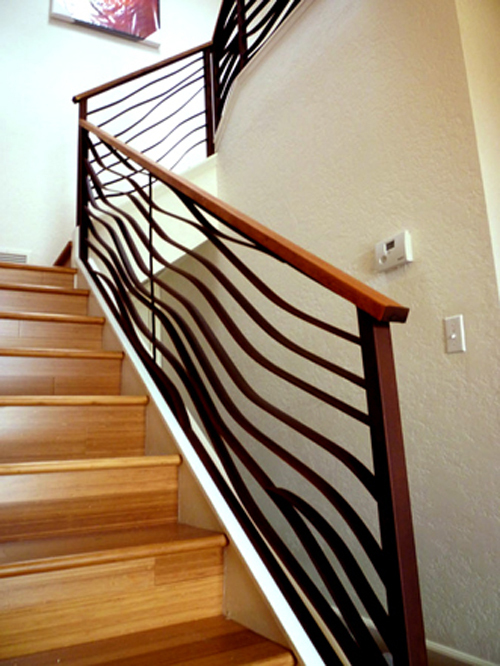 We have added some awesome pictures of cool stairway railings that can give you a great idea for potential designs in your own house. 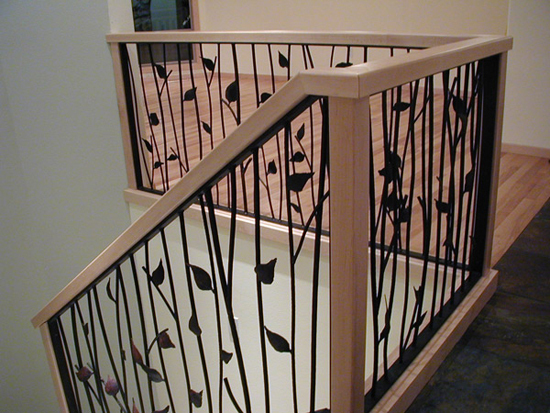 Banisters are usually 3-4 feet high and go up along side the stairway to help people up the stairs as well as keep any accidents from happening. 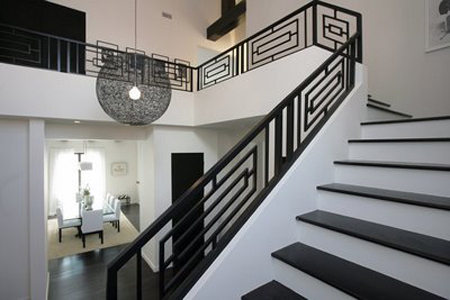 The banister railing goes all the way up the side of the stairs and sometimes even goes around the top floor if its an open floor plan. 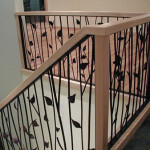 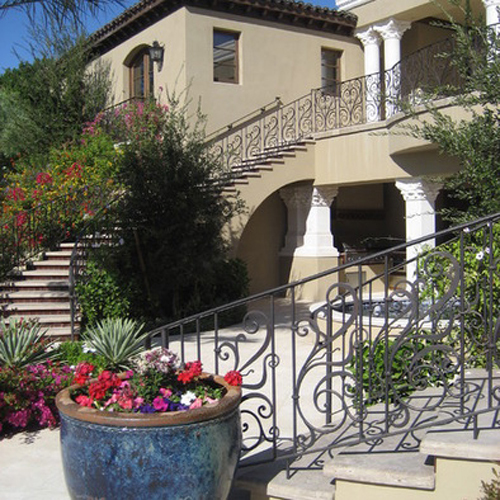 Stairway railings can also be on a banister or an outdoor patio or window. 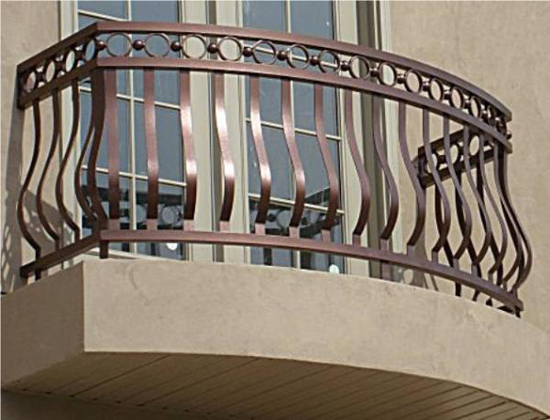 It can really make the outside of your house stand out and look very professional. 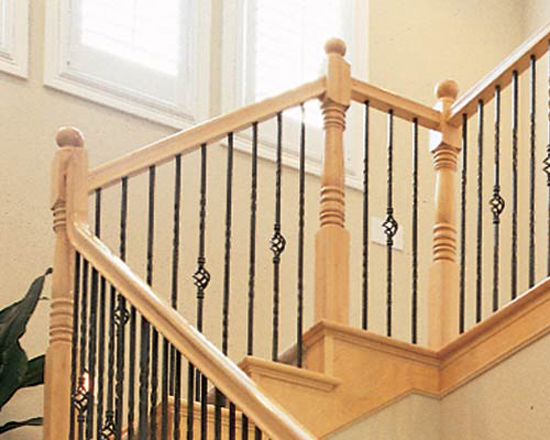 As you can see from the pictures some people go with a wood banister. 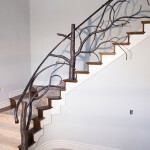 You can also see the tree banister railing that uses the branches of the tree as the railing. 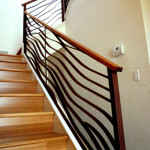 This is usually a custom design and may not be suited for every house.